The Tragedy Assistance Program for Survivors (TAPS) offers compassionate care to all those grieving a military loss. Since 1994, TAPS has provided comfort and hope through a national peer support network and connection to grief resources, 24 hours a day, seven days a week at no cost to surviving families and loved ones. 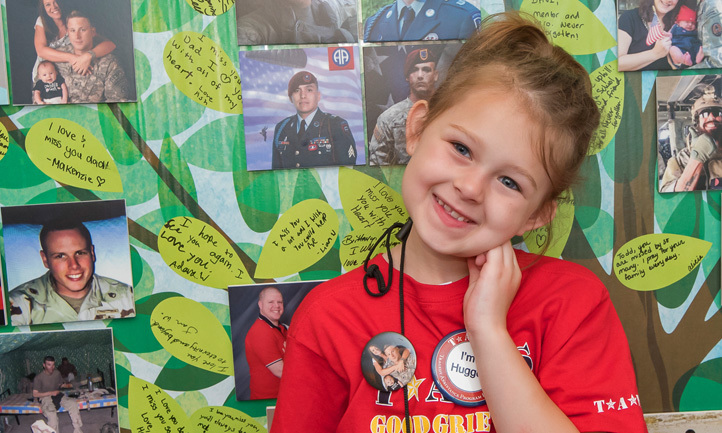 No matter how large or small the gift, your donation makes a difference and provides surviving military families with connection and healing. Make this is an honor or memorial gift. How did you hear about TAPS? If selected, you will be enrolled in our monthly program. Your monthly gift will be processed automatically with the credit card information you have provided.